One of the trickiest parts of traveling is knowing when or who to tip and how much is appropriate. Although a tipping guide can be helpful in avoiding tipping too much or too little and to know when you should keep your money put away, there are no absolute rules to tipping. Tips are very much subjective to one's perception of the service performed. The guidelines can be complicated with varying information and different amounts expected by industry type, level and location. Although most tipping in America is pretty standard, there are a few exceptions when it comes to location or the type of establishment serving you. According to Forbes, the standard 15% gratuity expected in most restaurants raises to 20% in some fine dining restaurants. In most small towns and cities it is acceptable to round your cab fare up to the next dollar amount but in larger cities such as New York or Chicago, you should tip 15% of the fare. Expect to tip the bellhop in an upscale hotel $5 per bag instead of the dollar per bag at a standard hotel. Look at your bill carefully before you add a tip. In the U.S., it's common for restaurants to automatically add a gratuity of 15 to 20% on parties of six or more at one table. CNN indicates automatic gratuities in restaurants are also becoming more common in tourist destinations such as Miami and New York, as many foreigners are unfamiliar with the practice of tipping. Mastering domestic tipping guidelines is complicated enough, and they become even more complex when considering international travel. Your best option is to look up tipping guides for the specific places you plan to visit, as customs may vary from one region to the next. It's important to note that even among travel experts you will still find small discrepancies when it comes to tipping. The following examples of international tipping customs (or the lack of them) were compiled using a variety of reputable resources including Fodor's Travel, Condé Nast Traveler and the Business Insider. Tipping is not expected in Australia, and hospitality workers get paid enough not to depend on tips. However, they are appreciated for exceptional service and are becoming more common in pricier establishments. Restaurants: If you choose to tip, 10 to 15% is acceptable for waiters and bartenders. Hotels: If desired, tip $1 per bag for porters and $2 to $5 per day for housekeeping (depending on the mess). Transportation: You can tip $5 for taxis and $5 to $10 for tour bus drivers. Tour guides: For a private guide, $20 to $50 per person is a good amount. In Great Britain (and most of Europe) tips are usually included in the bill at restaurants, labeled as a service charge or optional charge. This fee can be adjusted to a level you feel comfortable with. Tipping is not expected in pubs. Restaurants: If a service charge is not added, tip 10 to 15%. Hotels: Tip 1 to 2 pounds per bag for porters and 1 to 2 pounds per day for housekeepers, going up to 5 pounds at five-star properties. Transportation: Small change is sufficient for cab drivers. 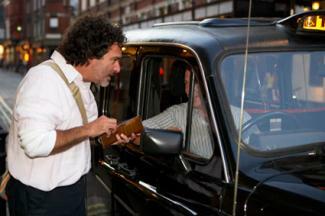 Tip 10 pounds for the driver of a guided tour. Tour guides: Tip 20 pounds per day. If you see service compris written on your dining bill, a tip is not necessary but locals will often leave up to 10% anyway. Tips are not expected in bars, but don't be surprised to see a 15% service charge added to your bill. Restaurants: Bills typically include a 15% service charge, but if you feel inclined to do so, you can tip an extra 5 to 10%. Hotels: Tip 1 euro per bag for the bellman, 1 to 2 euros per day for housekeepers and 10 to 15 euros for the concierge who makes reservations for you. 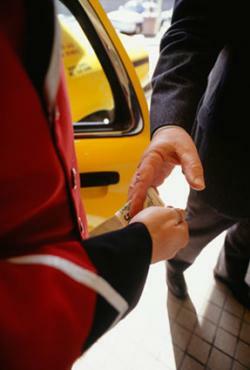 Transportation: The minimum tip for taxi drivers is 1 to 2 euros, with a maximum of 10 to 15% for exceptional service. Tip 10 to 20 euros for private airport transfers. Tour guides: Tip 25 euros per person per day for a tour guide, increasing to 50 euros if he or she is nationally certified. Rounding up the bill to the nearest euro is fine for small bills when only ordering one or two items such as drinks or coffee. When paying for an entire meal, it's best to use a percentage. Germans have no qualms about generous tips. Restaurants: Look for an automatic service charge on your bill. You can add an extra 5 to 15% for exceptional service. Hotels: Tip 1 euro per bag for the bellman, 1 to 2 euros per day for the housekeeper and 20 euros for concierge services. Transportation: Tip taxi drivers 5 to 10%. Tour guides: Auto Europe recommends a 10% gratuity for a tour guide, who may request a good review on Trip Advisor instead. Enjoy the romance of a gondola ride through the canals in Venice without worrying about tipping the gondolier, as it isn't customary to do so. Service charges commonly appear on bills and tipping in general isn't practiced or expected in Italy. Tip if you feel inclined because of excellent or prompt service, as doing so is likely to encourage more of the same. Restaurants: Tip no more than 10%. Hotels: Tip 1 euro per bag for the bellman. Transportation: Round up your cab fare up to the next euro and offer one or two more for extraordinary service. Tour guides: Ciao Citalia says to tip a half-day guide 5 euros per person and a full-day guide 10 euros per person. Tipping is not expected or customary in Spain. However, it is becoming more commonplace in touristy areas, being influenced by travelers who are accustomed to tipping. Although Spanish locals are not big tippers, those that do stick with small change and single euros on everything but elaborate meals, which sometimes get gratuities of 5 to 10 percent. When receiving extraordinary service, free coffees or liqueurs, help translating the menu or special meal preparation, show your appreciation with a tip. Restaurants: Reward good service by rounding up the bill by 7 to 13%. Leave the tip in cash, not on a credit card. Hotels: Tip 5 to 10 euros for a concierge who provides special favors, 1 euro per bag for the bellman and up to 5 euros per day for housekeepers. Transportation: Round up the fare for a taxi driver and tip a private tour driver 15 to 20 euros. Tour guides: Totally Spain Travel indicates that it's appropriate to tip 15 to 25 euros per couple for a full-day guide. Tipping is not at all common in Japan and handing money directly to a service person can actually be offensive. In the few cases where it is accepted, currency should be kindly presented in an envelope using both hands. Tour guides do not expect tips but it is acceptable to offer one. Restaurants: Do not offer a tip to the waiter as it will likely cause confusion. Hotels: A concierge or porter is likely to decline a tip, but it's acceptable for a room attendant when staying at a traditional Japanese inn (called a ryokan). You can present 5,000 yen (about $43 USD) tucked inside an envelope at the beginning of your stay if special favors are requested or at the end for a job well done. Transportation: Round up the fare for a cab driver and offer to buy lunch (worth 2000 to 2500 yen) for a private tour driver. Tour guides: Offer 2,500 to 5,000 yen in an envelope. Similar to Japan and other Asian countries such as South Korea and Thailand, tipping is not part of the culture in China. The main exception is tour guides. Fine hotels and restaurants that cater to travelers usually include a service charge, but nothing is expected or really allowed beyond that. Restaurants: A 10 to 15% service charge is automatically added in larger cities. Hotels: Discreetly tip luggage porters in luxury hotels that cater to international travelers the equivalent of $1 (about 6.58 yuan) per bag and $2 to $3 for room attendants. Don't tip in smaller domestic hotels. Transportation: Taxi drivers don't expect a tip but, according to China Highlights, it's okay to offer a dollar or two if the driver helps with heavy luggage or takes a special route to get you to your destination on time. Tour guides: Fodor's recommends $5 to $10 per person for a half-day guide and $10-$20 per person for a full-day guide. While not a customary tradition in Greece, tipping is perfectly acceptable and appreciated. Always leave the tip in cash even if you pay the bill with a credit card. Restaurants: According to iCruise.com, 5 to 10% is acceptable in an elegant restaurant. Hotels: Tip 1 euro per bag for porters and 1 euro per day for housekeepers. Transportation: Taxi drivers don't expect a tip but are happy when you round up the fare. Offer a private driver 20 euros per day or double that if he has gone out of his way. Tour guides: Tip 40 to 60 euros per person for a full-day guide or 4 to 6 euros per person for a group tour. If you charter a yacht, tip 5 to 15% of the base cost and present it to the skipper in an envelope (for distribution to all the crew members). Cape Town Magazine tells of a distinct service in South Africa not found anywhere else in the world. They are called "car guards," public servants who assist with parking and looking after cars. Car guards range from hard-working individuals trying to feed their families to those looking to buy their next bottle of wine. If you rent a car to get around, use discretion when deciding whether a vest-wielding car guard has earned 2 to 5 rand of gratuity or is too drunk to remember which car is yours. Restaurants: Tip 10 to 15% for waiters. Hotels: Tip $1 per bag for porters (about 17 rand), $1 per day for housekeepers and $3 to $5 for the concierge. Transportation: Tip 10% for taxi drivers. Tour guides: Tip 10 to 15 rand per person for group guides, 50 rand for a half-day guide and 100 rand for a full-day guide. Don't get caught unprepared if you didn't research tipping guidelines in advance of a trip. Download an app to your smart phone such as Tipping Bird or Global Tipping. These apps can help with currency conversions, tipping the right amount and even how to present the tip. The old adage of 'do as the locals do' holds true with tipping, as social etiquette is always subject to change. If you are able to observe how the locals tip, feel free to follow their lead. You can also ask about tipping in a friendly conversation with the concierge at your hotel or another local resident. Avoid asking the person you plan to tip directly, as it puts them in an awkward situation. Always tip service people in the local currency, as many would be unable to convert U.S. dollars or coins themselves. Be sure to carry small denominations of the local currency for tips when you are out and about in another country. Currency conversion centers are often located in international airports. A tip is a gift of gratitude for good or exceptional service. Don't feel pressured to part with money if you feel the service was lacking. Assigning value to the service you receive is totally at your discretion.